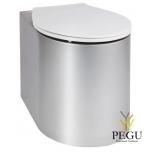 AUM 026 INV is a stainless steel, partly wall-built in washbasin, containing the combination of a liquid soap dispenser, water tap and hand dryer in a small space. 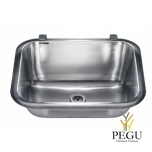 The washbasin is adjusted to be used also by wheelchair persons – it is shallow, completed with handles, the waste is hidden behind the wall. 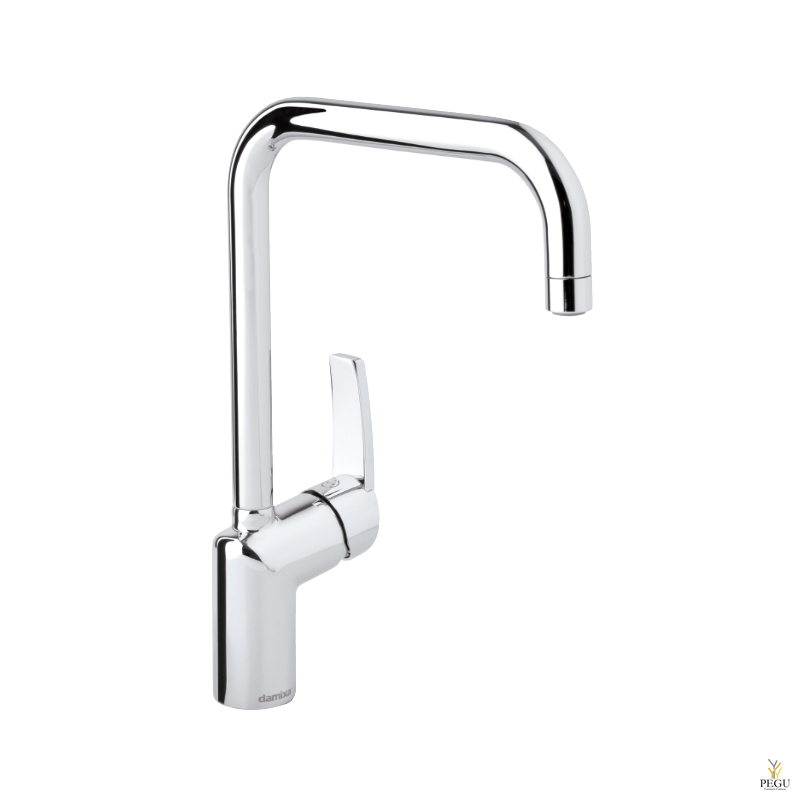 Controlled by durable piezo-pushbuttons, electronically controlled turn-off (the period of water running is settable by the owner). 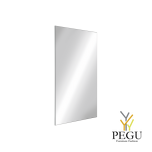 The washbasin is to be mounted through the wall, all technology components are behind the wall, and thus cannot be damaged by users (anti-vandal design). A wall-hanged version may be supplied to order, or a version without any of the functions (e.g. onlz water plus soap, or water plus dryer). 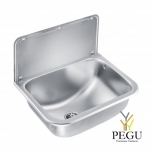 The washbasin is made of AISI 304 stainless steel. A recommended cleaning agent for stainless products maintenance: Würth – preservation (order no. 0893 121 K), cleaning (order no. 893 121 1). 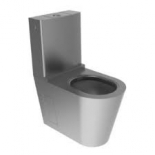 AUZ 08 is a stainless-steel WC in matt design. 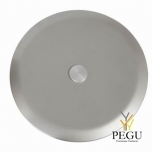 To increase the user comfort, it is provided with a grey seat with a lid made of hardened plastic (newly also with a seat in black design AUZ 08.CS). AUZ 08 is designed to stand on the floor at the wall; it is suitable for places where the common closet cannot be attached to the wall, because of a thin bearing particle, for example. The standard version of AUZ 08 has a back drain (the version with the bottom drain AUZ 02). It is suitable to supplement the WC with the automatic pressure water flushing device AUZ 3, automatic flushing device with the piezo button AUZ 3.P (or the vandal-resistant flushing device BSAZ 01) or any flushing device with a cistern. 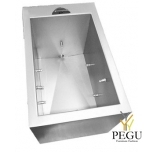 Thanks to its resistance to damage, the closet is primarily intended for social facilities with demanding operation, such as highway lay-byes, alehouses, etc., where easy maintenance of sanitary conditions is required. 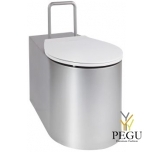 WC is also manufactured in the design for the disabled under the designation AUZ 08 INV. Further closet versions can be found in the section Stainless-steel closets or Stainless-steel safety closets. 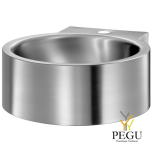 Set-up outlet d = 110 mm including rubber sleeve for pipe d = 90 mm. Set-up water inlet d= 34-50 mm according to chosen sealing. AMO 01 is a stainless steel automatic washing system for wellingtons with sensor-controlled water nozzles. When stepping into the washing chamber of the system (scanning zone) water starts to flow from the nozzles automatically and wellingtons are cleaned of dirt. Water stops flowing with a certain time delay after the foot has been removed from the scanning zone. 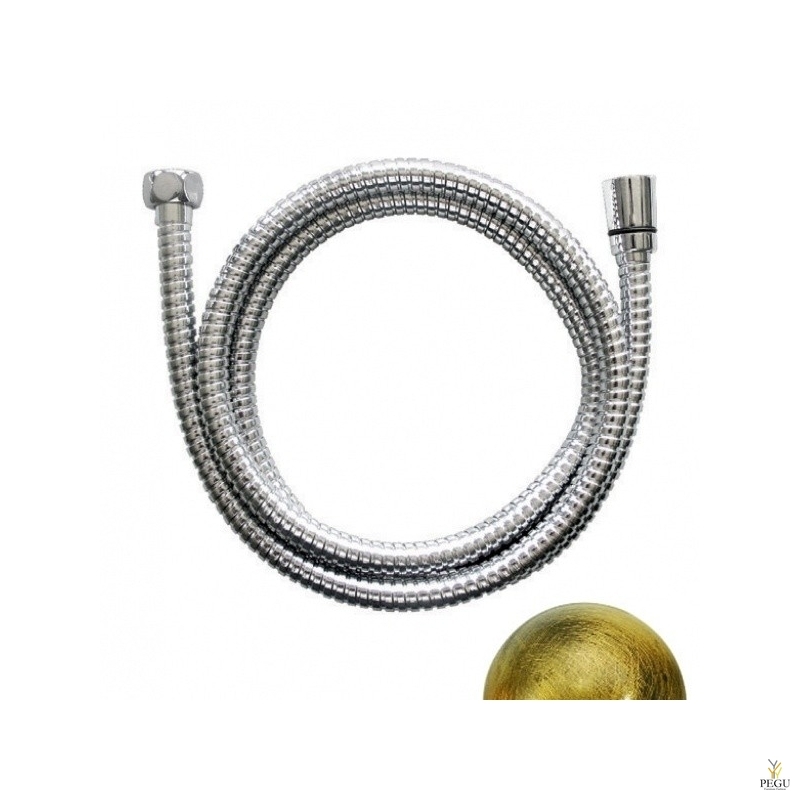 AMO 01 is designed for a single pipe inlet of pre-mixed water from the circulation or water pre-mixed by means of a thermostatic valve. 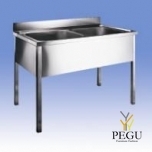 The AMO 01 automatic washing system is intended mainly for operations with slight shoe contamination where quick washing at maximum water savings is guaranteed. 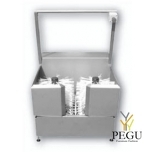 RMP 02 is a stainless steel sensor-controlled washing system with rotary brushes for wellingtons. A built-in photocell sensor reacts to the user holding the handrail. 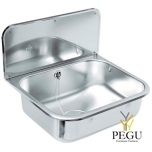 The electromagnetic valve switches on, opens the water inlet, the brushes start to rotate and the circular jet injection of the disinfecting lotion is carried out. After placing the foot with the wellington on the grid in between the rotary brushes, the sole is cleaned by means of the horizontal brush. There is a CENTRAL/STOP button on the handrail for emergency switch-off. The washing system is intended for free standing installation on the floor. Imperfections in the floor are balanced out by four adjustable hobs. 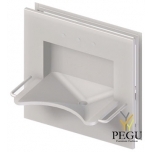 The construction of the system allows the outlet to be placed above floor level. Large pieces of dirt are collected by a sieve, which can be easily cleaned. 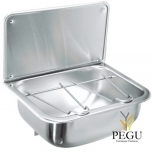 The sieve and brush can be taken out without using a tool. The RMP 02 washing system, with its easy maintenance, is mainly intended for operations where quick removal of mechanical dirt from wellingtons is required. The canister with disinfecting solution is not part of the delivery. 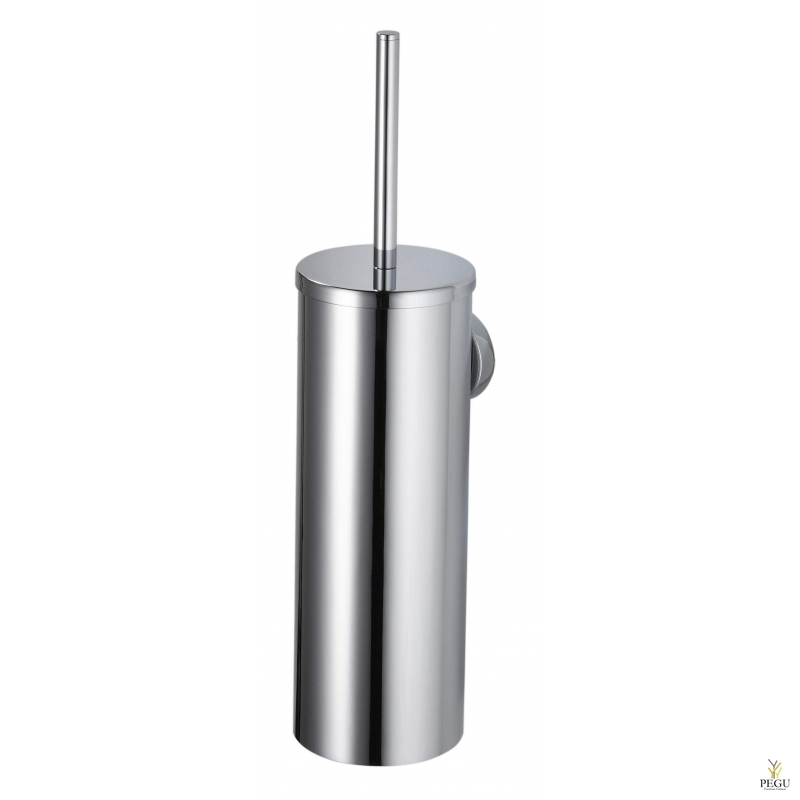 RMO 02 is a stainless steel sensor-controlled washing system with rotary brushes for wellingtons. A built-in photocell sensor reacts to the user holding the handrail. 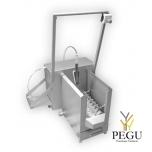 The electromagnetic valve switches on, opens the water inlet, the brushes start to rotate and the circular jet injection of the disinfecting lotion is carried out. After placing the foot with the wellington on the grid in between the rotary brushes, the sole is cleaned by means of the horizontal brush and the leg portion is cleaned by means of two vertical brushes. The system is automatically switched off when the user releases the handrail. There is a CENTRAL/STOP button on the handrail for emergency switch-off. The washing system is intended for free standing installation on the floor. Imperfections of the floor are balanced out by four adjustable hobs. 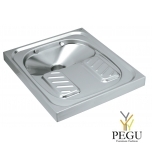 The construction of the system allows the outlet to be placed above the floor level. The RMO 02 washing system, with its easy maintenance, is mainly intended for operations where quick removal of mechanical dirt from wellingtons is required. 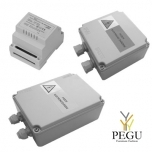 ZAC is a safe source of voltage supply intended to power automatic sanitary equipment made by AZP Brno, Ltd. The source of power supply consists of a safety transformer produced in accordance with ČSN IEC 742+A1 standards. All kinds of sensors can be connected to these sources in random combinations, as can other devices with a supply voltage of 12 V, 50 Hz (total power requirement either 20 VA, 50 VA or 36 VA). ZAC 1/20 and ZAC 1/50 are independent sources, 1/36L ZAC is the source for the location on the DIN-rail (4 modules). Source of power supply can be placed at a maximum distance of 30 m from the connected appliance. Supplied with 1 ¼" waste. CE marked. Complies with European standard EN 14688. 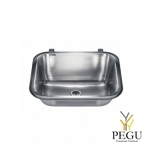 Icon Hand Wash Basin IC1-32 in stainless steel 18/10, is designed for under mounting.The hand wash basin is pressed in one piece and has laser-cut integrated outlet holes that are concealed by a removable outlet cover.The basin is supplied with waste under part and overflow equipment.